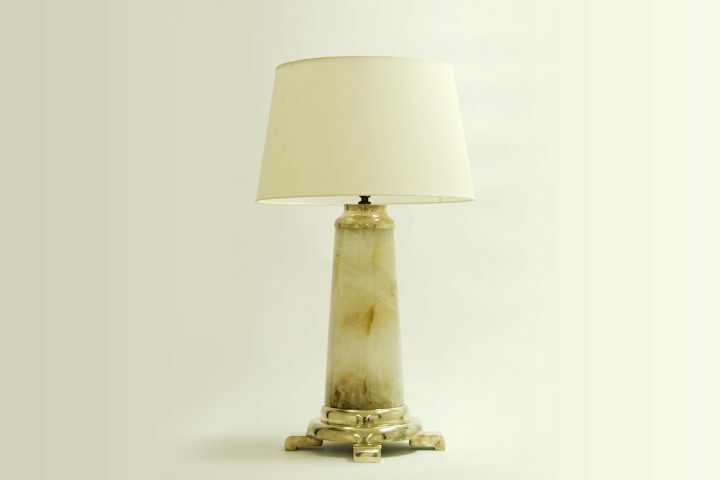 Polished solid onyx with silvered bronze accents combine to make this piece an instant classic. 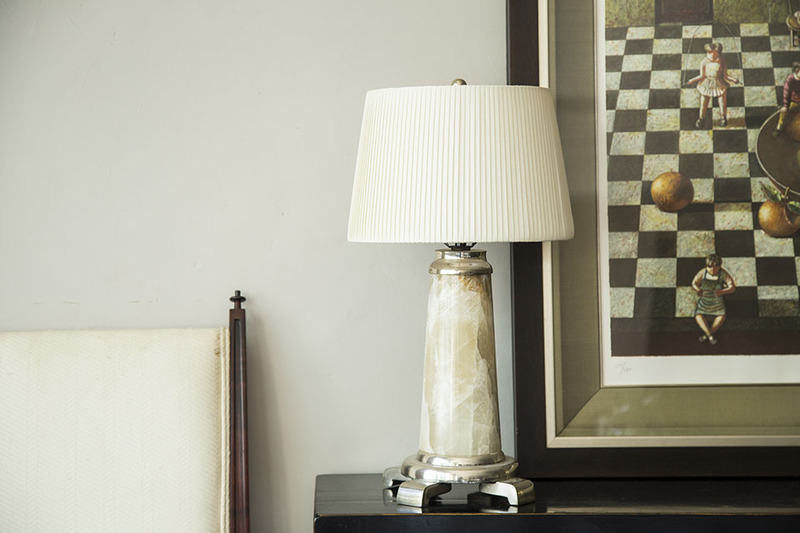 Inspired by Scandinavian designers of the 1950s, the lamp will add a touch of tradition and elegance to any space. This design is offered in two sizes.